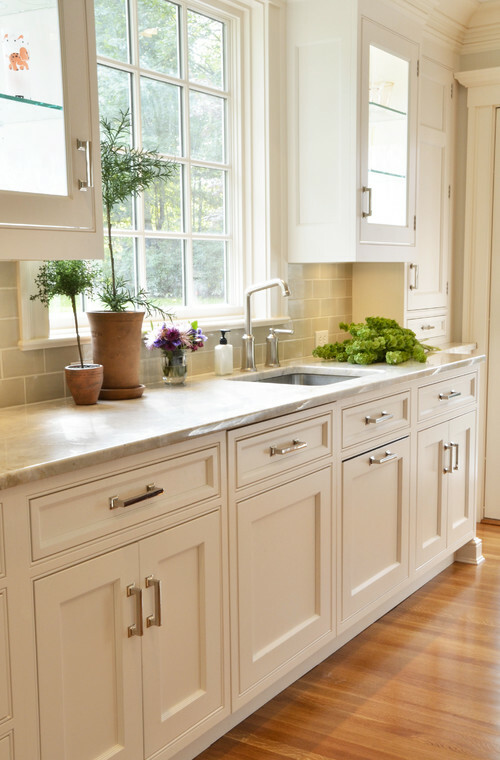 She used Studio pulls in bright nickel to customize her Ikea cabinets. Studio pulls are featured in the kitchen, mudroom, living room, laundry room and even in the downstairs kitchen & living room in this home. Jennifer also updated her Ikea kitchen cabinets with Studio pulls. Her beachy laundry room also has the same pulls to match! 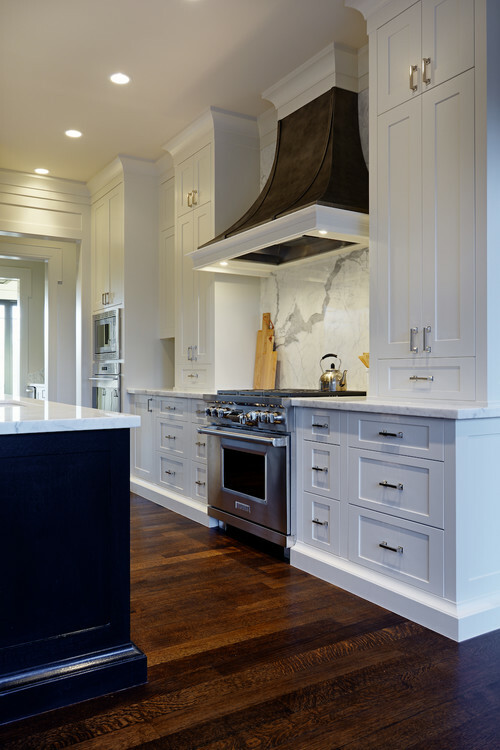 This beautiful kitchen features white cabinets and an island, with Studio pulls as the finishing touch. The drab before to the stunning after is amazing. She dressed up Ikea cabinets with Studio pulls.